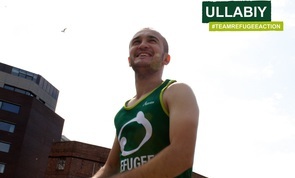 In 2014 Refugee Action was named as the Official Charity Partner for 2014 Bristol Half Marathon! This gives us an amazing chance to raise life-changing funds for refugees. But we also knew it could change lives in a more immediate way. So, as well as encouraging our supporters to take on the race, we set about offering places to some of the people we help. Ullabiy, a teacher from Russia, claimed asylum with his wife and three-year-old son. That was two years ago, but they’re still waiting for a decision. The waiting “forces you to be passive,” says Ullabiy. Nonetheless, he’s fought to keep active: representing Bristol in regional wrestling championships; volunteering at local refugee organisations, and teaching basic computer literacy to other refugees. Ullabiy’s proud to live in Bristol (“I’ve been to other cities for one day here and there, but I like Bristol the best”) and is excited to be running for Refugee Action. Refugee organisations “are like vitamins for a human body,” he says. “They provide a social life and help with accessing support. If no vitamins, the body can’t live”. Sponsor Ullabiy. 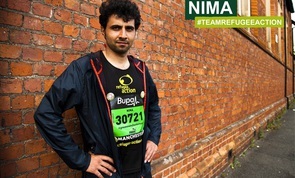 Nima (from Iran, now living in Manchester) is no stranger to sporting events. 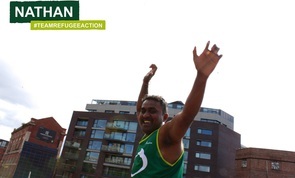 Refugee Action’s wellbeing project put him forward for the Great Manchester Run. Then he took on the Great Manchester Cycle. 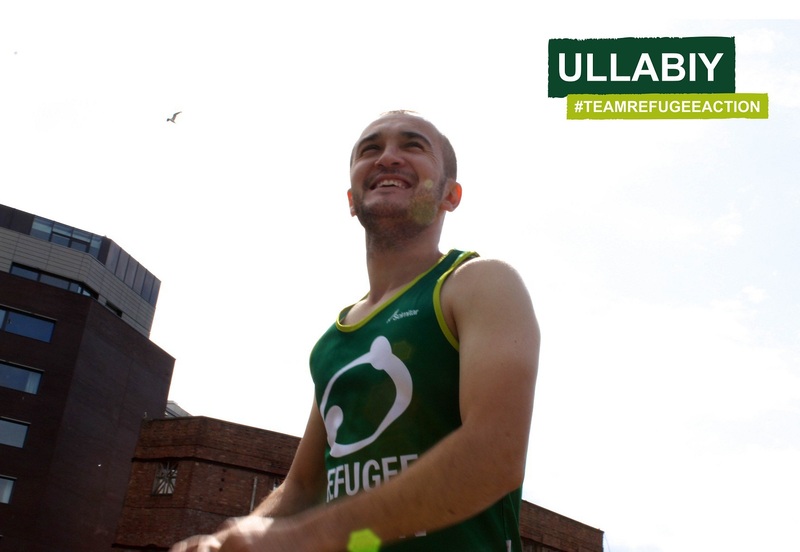 Now he’s excited to be joining Team Refugee Action for his first half marathon. Like Ullabiy, Nima’s still waiting for an asylum decision. “I’ve been through a very rough time last year,” he says. “It made me quite depressed and anxious. Being active helps me deal with everything”. “My message to people who run in support of Refugee Action is that it’s very kind of them to do so. It’s very reassuring to refugees running side by side British people. It makes me feel more at home. It makes me feel like I’m welcomed here”. Sponsor Nima. Nathan survived torture in Sri Lanka, and left the country in fear for his life. He’s still awaiting the outcome of his asylum claim. When he arrived in Bristol, “Refugee Action gave me amazing help. They are lovely people”. He’s never taken part in a sporting event like this before, but “I’m always thinking about what’s good for my health, and what I can do to make things better. That’s why I’m taking part”. Sponsor Nathan. Before civil war forced him to flee, Khaled was an English teacher and business owner in Syria. He was imprisoned on arrival to the UK, but was later released without charge and given refugee status. Today he volunteers with other refugees – “I even volunteered in prison,” he says – and is working hard to find paid employment. “Bristol as a city is great,” he says. “It’s very multicultural and there are a lot of welcoming people”. 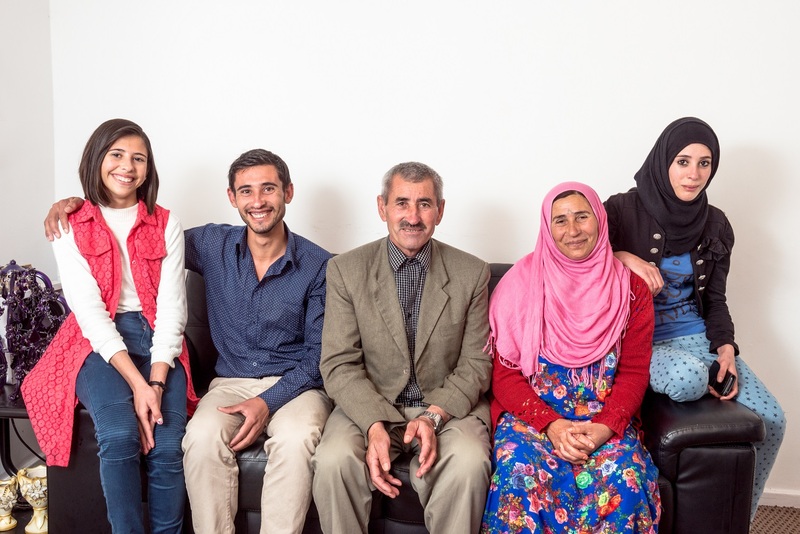 Having lived in Bristol for two years, Khaled knows a lot about local refugee organisations. “Maybe I was a little bit lucky that I got status,” he admits, “but I do know some people who got stuck in the system and were supported by Refugee Action”. He’s also a supporter of Bristol Refugee Rights. Groups like these “can be the only support that people have,” he says. “It’s really important”. Sponsor Khaled. Also on the team are Suranga (from Sri Lanka), Mohammed (from Eritrea) and Qerim, Refugee Action’s deputy manager (originally from Kosovo). You can sponsor our refugee runners via Justgiving – please dig deep and and give them your support. Thanks to Mizuno for donating trainers to all our refugee runners.